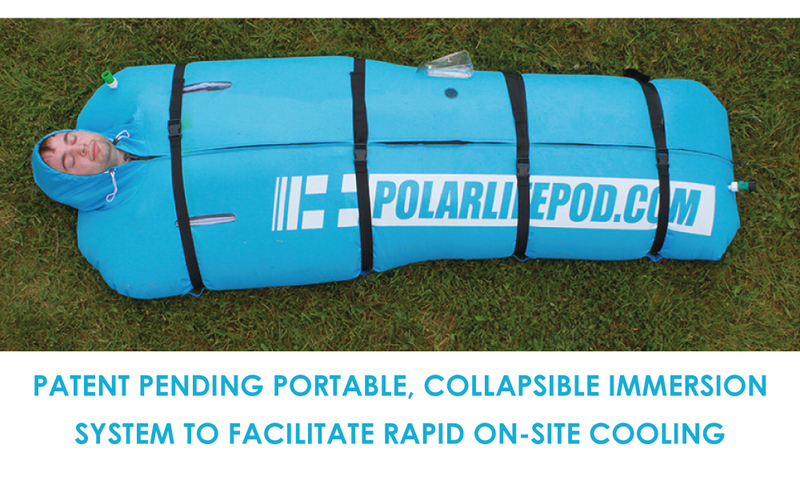 The Polar Life Pod® is an innovative new portable immersion system to assist in the cooling of individuals. Readily Available Whenever And Wherever Needed! Packaged ready for use in a convenient and transportable gym bag that weighs less than 10 lbs. Unlike large, cumbersome tubs, the Polar Life Pod® can be easily stored, rapidly set up and quickly implemented. Requires just 40-80 gallons of on-site ice water depending on the size of the individual. Fits individuals up to seven feet tall and 400 pounds. 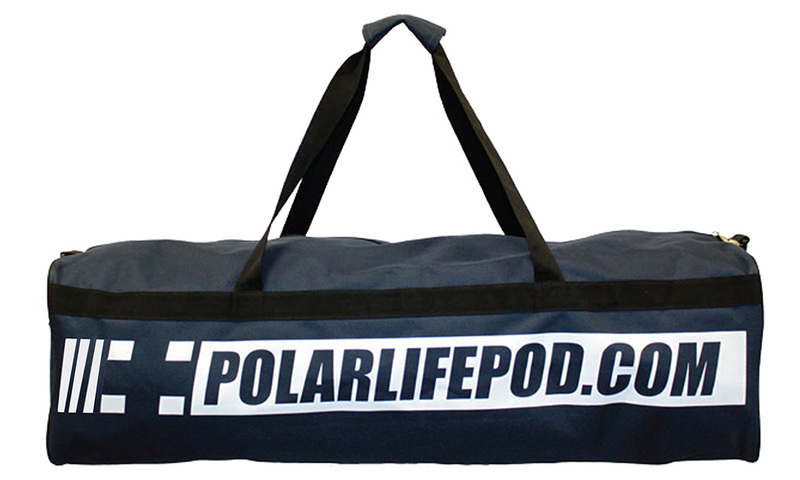 Fold the foot of the Polar Life Pod® under to adjust to the height of smaller individuals. Floating head support fits snugly in the hood. 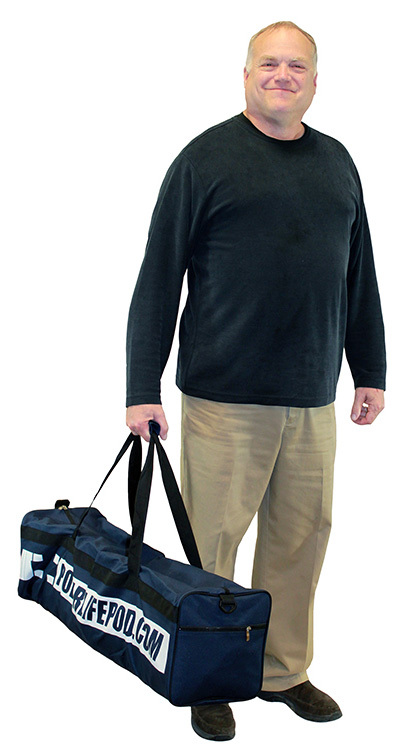 Designed by a licensed athletic trainer with over 30 years of experience in the field. 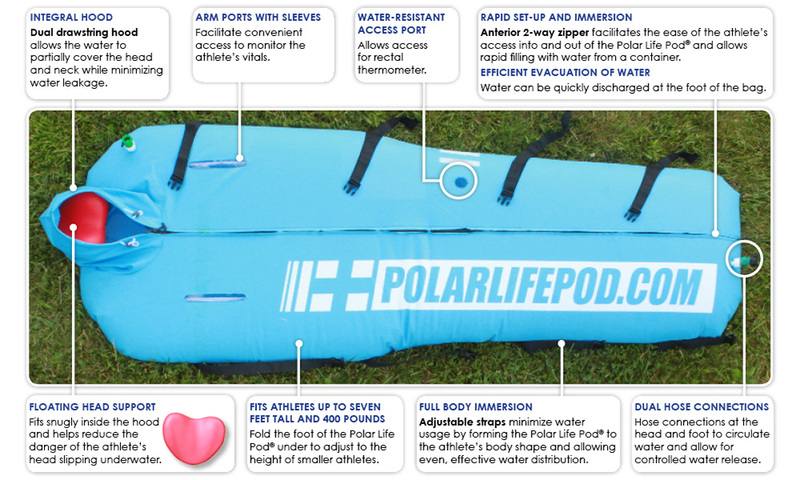 The Polar Life Pod® is an on-demand water immersion device that can quickly be set up to use whenever and wherever needed. It is made out of a heavy duty PVC and is capable of fitting individuals up to 7 feet tall and weighing up to 400 lbs. 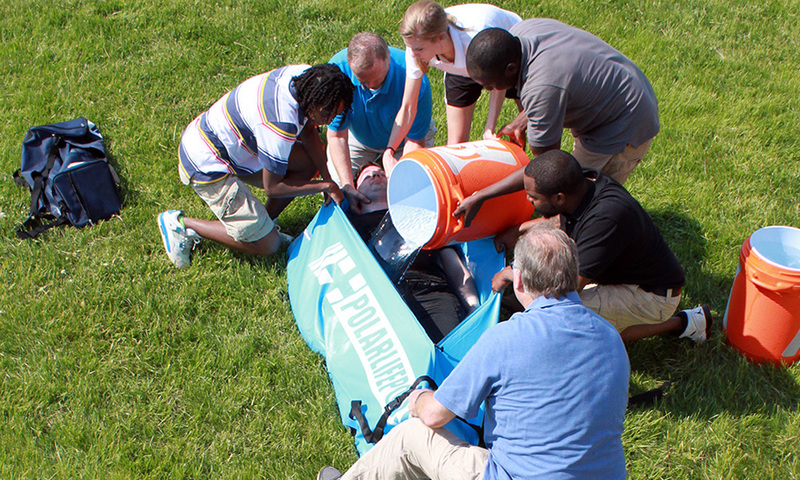 The Polar Life Pod® requires four(4) to eight(8) 10 gallon Gatorade type containers of on-site cold water, depending on the size of the individual being submersed. 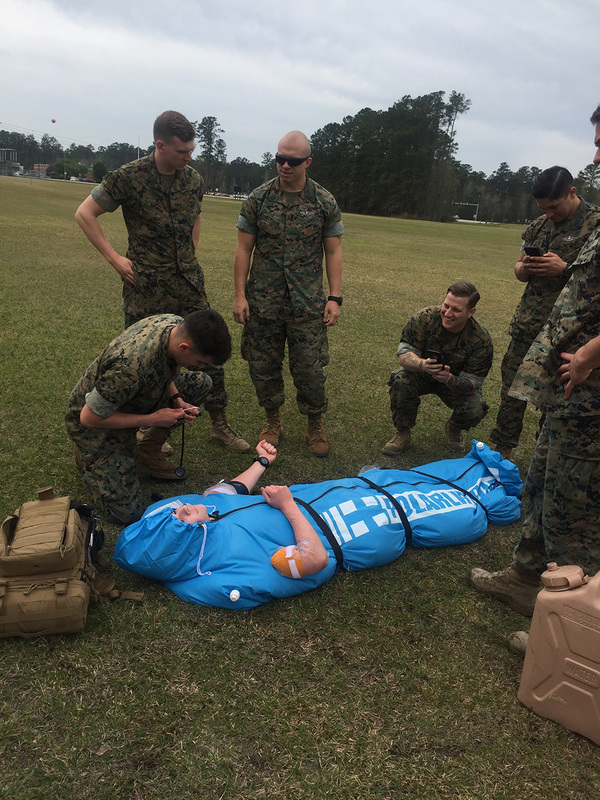 Allows for full body, neck and partial head coverage of the individual being submersed while minimizing water leakage. Allows the individual being submersed to extend arms outside of the Pod. Minimize water usage by forming the Polar Life Pod® to the individual's body shape while allowing for even and effective water distribution. Access port midway down the Polar Life Pod® allows access for temperature monitoring. 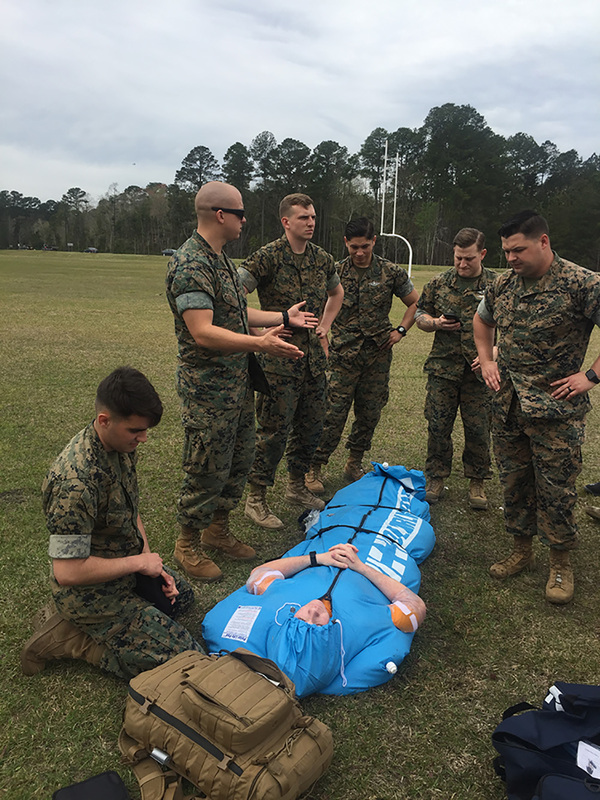 Facilitates ground level access for individual being submersed into and out of the Polar Life Pod® and allows the Polar Life Pod® to be rapidly filled with water from on-site containers. The water can then be evacuated quickly at the foot of the Polar Life Pod® at a safe distance from the individual's head. Located at the foot and head of the unit to allow circulation of water and controlled water release. Fits snugly inside the hood. For monitoring the water temperature inside the Polar Life Pod®. Packaged ready for use in a convenient and transportable gym bag weighing less than 10 lbs. with the Pod. No, the Pod is designed to be adjusted for any size individual, up to approximately 7 feet tall or 400 lbs. Yes, the bottom of the Pod can be folded under before being filled with water and the straps help it adjust to fit almost any body size. 40 to 80 gallons depending on the individual's size. We recommend bringing the ice water in standard 10 gallon coolers, or other coolers. The water should be under 59° Fahrenheit. The warranty is 1 year on the Polar Life Pod®. Where the arm goes through the opening of the arm ports and the thermometer opening may experience some slight tearing during use, this in no way effects performance is not a warranty issue.